Two weeks ago released Hindi dance movie ABCD 2 was released on 19 June, performing very well at box office. The movie is directed by Remo D’souza and presented by Walt Disney Studios Motion Pictures. 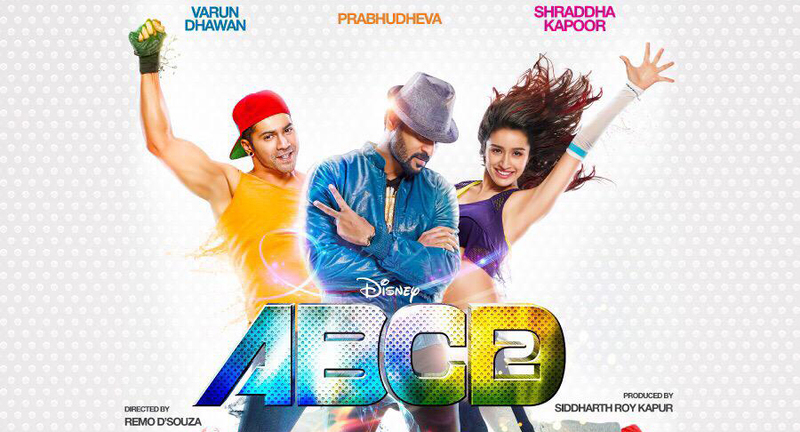 The latest installment of 2013’s ABCD, featuring Varun Dhawan & Shraddha Kapoor who are the main attraction of the movie. Fans liked the movie and appreciated the performance of their favorite stars. From its very week ABCD 2 is collecting excellent figures in India as well as in overseas. In India the movie has collected 71.78 crores in its first week and 25.01 crores in its second week. Earlier it was expected to achieve the target of 100 crores till the end of its second week but unfortunately it was not happened. Now the movie is running in its third week and being weekend the movie is showing growth than its second Thursday collection. On its third Friday, ABCD 2 has made the business of 1.01 crore with occupancy of around 20%. The movie is still giving good competition to the new releases from Bollywood. Showing some growth on its second Saturday, the movie has made the collection of 1.63 crore from Indian Screens. Today is its 17th day of release at box office, and being the main weekend day i.e. Sunday, its resulted in better business than last day. As per the report, today’s collection of ABCD 2 is estimated as around 2.23 crore. Now the total collection of the movie till the end of its third weekend has become 101.66 crores, holding the positing of 2015’s second highest grosser movie. From tomorrow it will again face drop in its business as weekdays are starting. It is looking not possible for the movie to chase Tanu Weds Manu Returns but let see how far it will go.